After excelling at the end of the season, Tyron Johnson is heading to the NFL Draft. 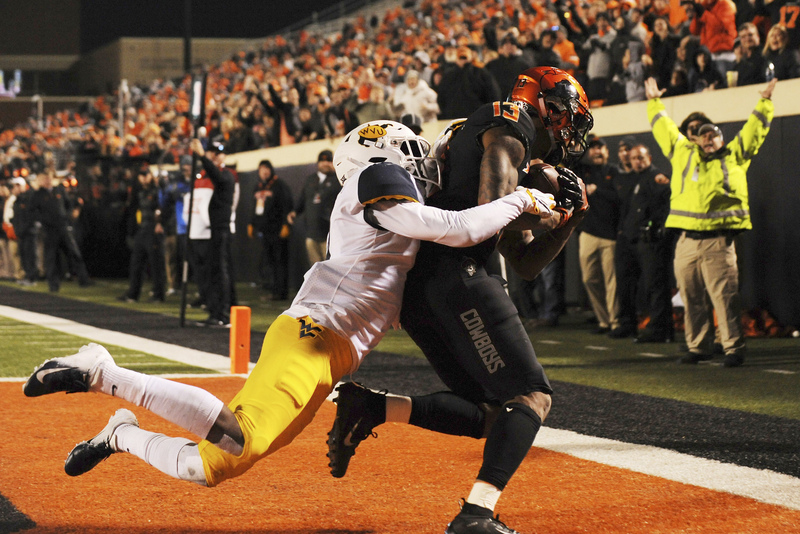 The redshirt junior wide receiver declared for the draft on his Twitter account Monday afternoon, marking the third OSU player who announced they were leaving early to head to the league, following Jordan Brailford and Justice Hill. Johnson dominated in his finale, torching the Missouri secondary for 141 yards and two scores in the Liberty Bowl. He caught 53 passes for 845 yards and seven touchdowns this season, behind only Tylan Wallace, a Biletnikoff finalist, in each category. Johnson was a former five-star recruit, and after one season at LSU, he transferred to OSU. He sat out in 2016 before backing up James Washington in 2017. He had a breakout game in Bedlam but never saw consistent repetitions until 2018. In line to replace Johnson will be C.J. Moore, a Tulsa Union redshirt freshman who didn’t play in 2018, Patrick McKaufman, a behemoth target who missed the 2018 season because of an injury, Jonathan Shepherd, a redshirt along with Moore and L.C. Greenwood, who has yet to catch a pass in his two seasons in Stillwater. Tracin Wallace, Tylan’s twin brother, could be in line for some reps at outside receiver. He is coming off his third ACL surgery and is expected to be in spring camp.